The Ireland Parliament’s passed ‘The Protection of Life During Pregnancy Bill’ on Thursday, the Bill will introduce an amendment to legalise abortion in life-threatening situations. Daughter of Akkamahadevi and Andenappa S. Yalgi of Belgaum, Savita Hallapannavar, died after a miscarriage at the Galway University Hospital in Ireland on October 28 last year, after doctors refused her repeated requests for abortion. But what about justice to Savita her father said to media persons here. “We welcome this new bill being passed but what about justice to Savita?”. Under the Irish law, the foetus cannot be terminated unless there is evidence of risk to the mother’s life. By the time the doctors reacted, Savita had contracted a fatal blood infection. No responsibility has been fixed for those guilty of negligence yet. Savita’s husband Praveen and others now preparing to got to court. An inquiry into her death case earlier this year revealed that a timely abortion may have saved her life. Better Late than never. But still feel sorry for Savita. 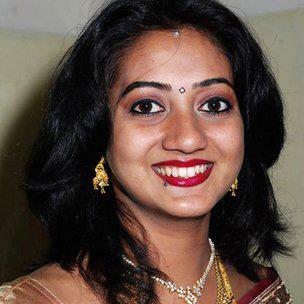 If this law existed earlier Savita could have been alive. At least now let her soul rest in peace.